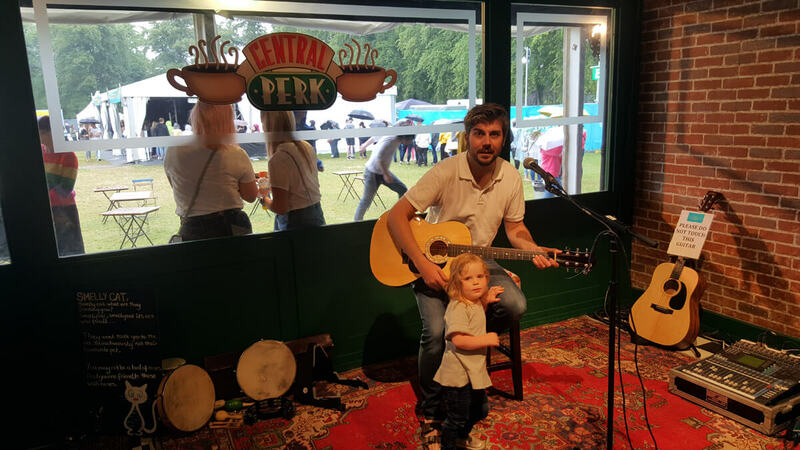 Last Sunday we met up with our friend Andrew and his Iittle girl to spend the day at FriendsFest. 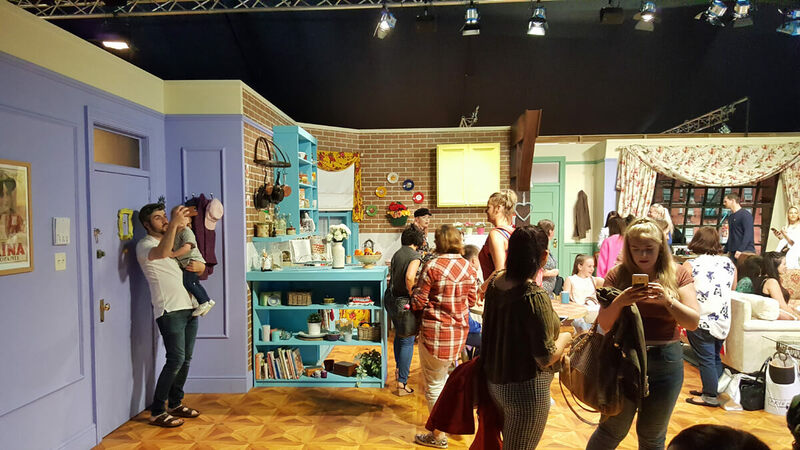 FriendsFest is the only touring festival of its kind dedicated to thrilling thousands of fans of the hit US TV show FRIENDS. 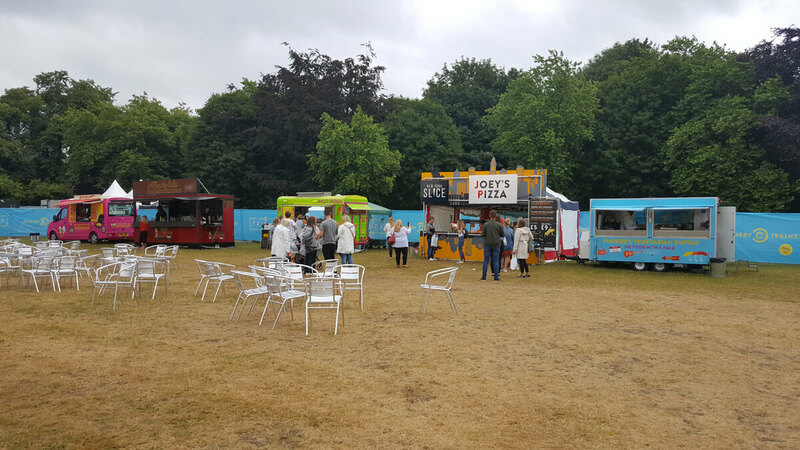 We arrived at Victoria Park in Glasgow along with the rain. After 3 to 4 weeks of almost no rain and the impending hosepipe ban being threatened in the UK, we had RAIN. Typical of our luck! 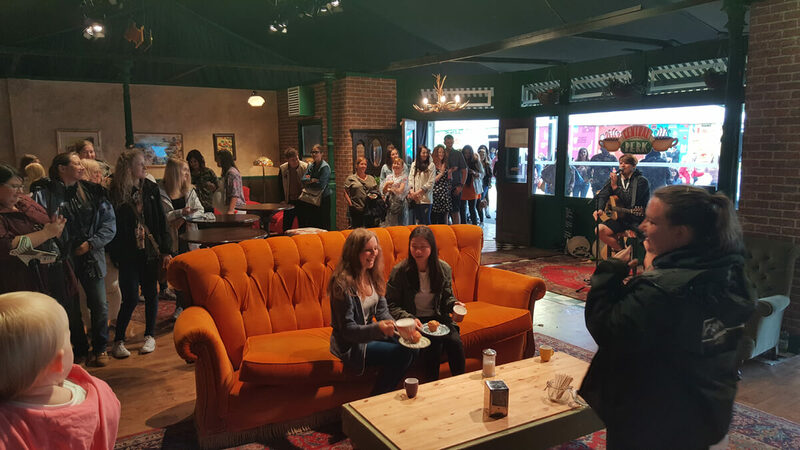 I believe it was in London last year, but this is the first time FriendsFest has come to Glasgow. 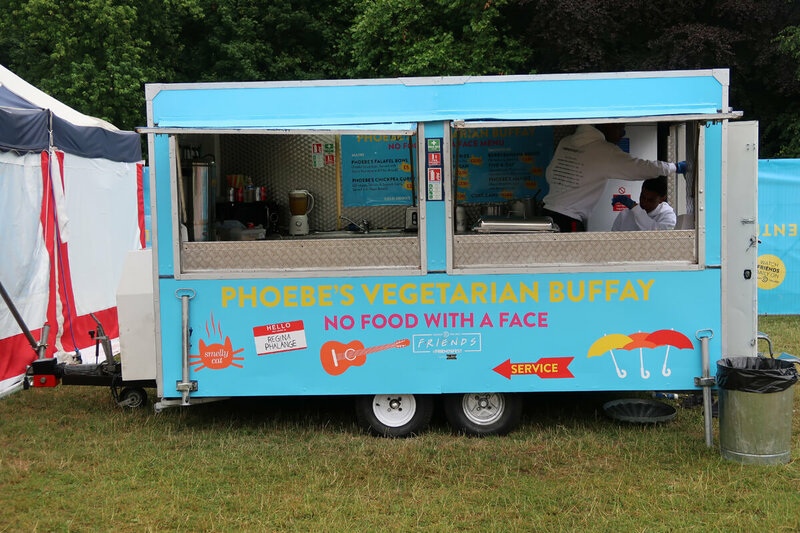 It’s also stopping off in Newcastle, Manchester, Bristol, Brighton and London. 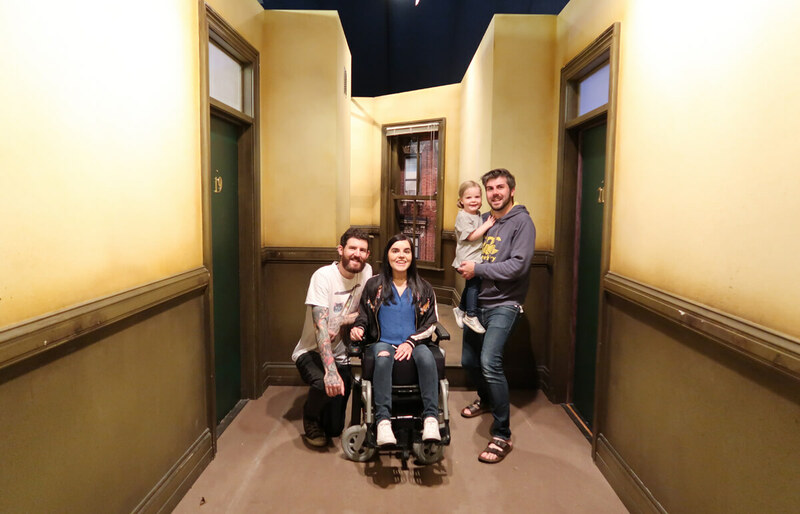 There are lots of brand new features for the 2018 tour including a full-scale Ross’s Apartment set, as well as a unique photo opportunity where you get to recreate the “Friends” moment voted the fans’ favourite… Pivot! 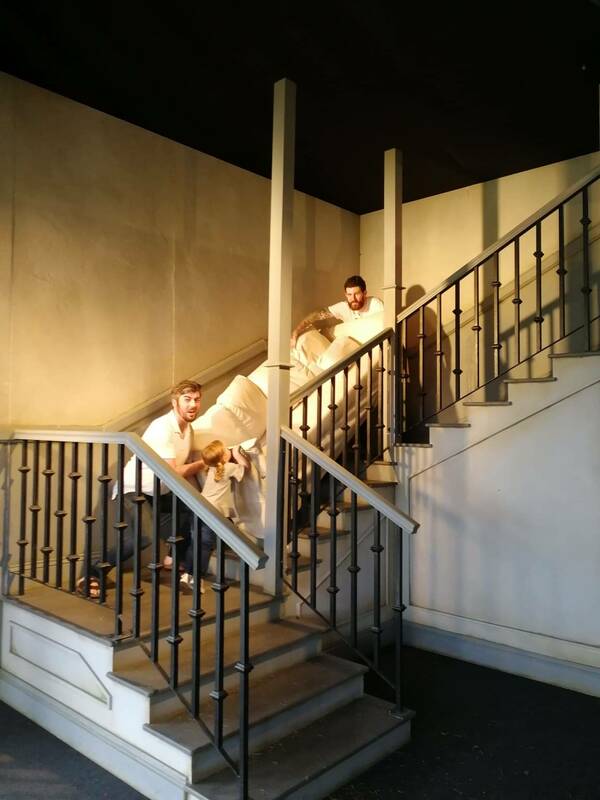 You know the one where Ross, Chandler and Rachel try to move Ross’s couch up the stairs. 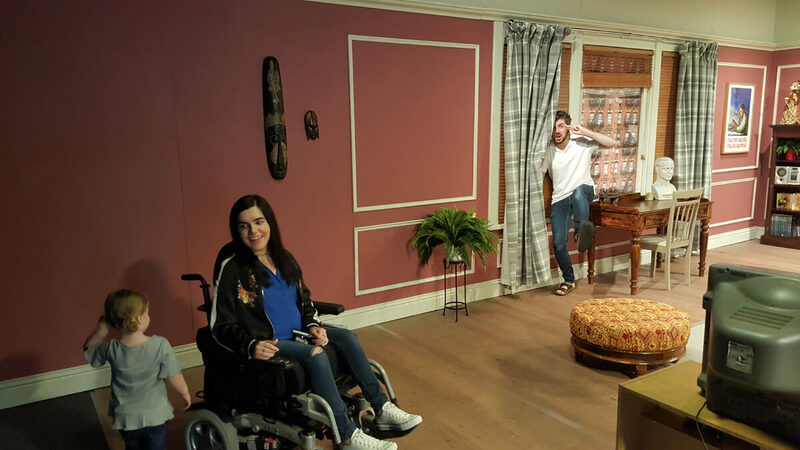 They are unsuccessful, but while trying to move it, Ross is yelling pivot, pivot, PIVOT! 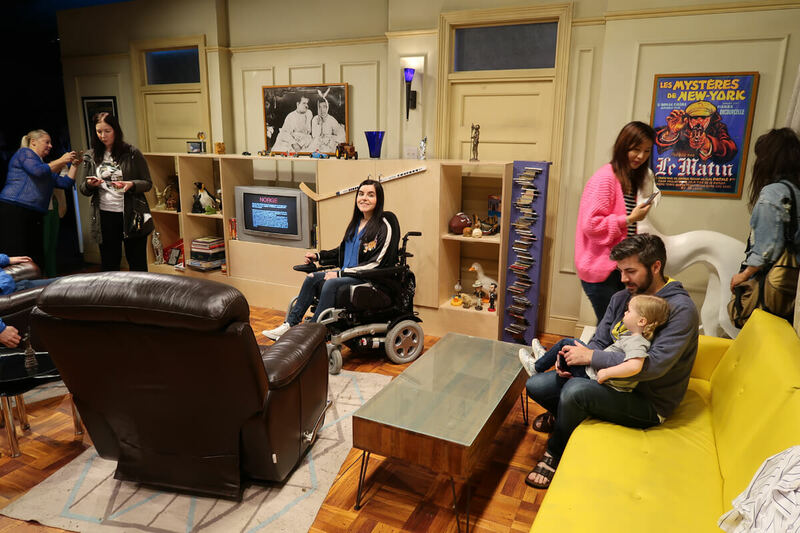 There is also the favourites from previous years, including Monica’s apartment, Joey and Chandler’s apartment and the iconic corridor which divides the two apartments. 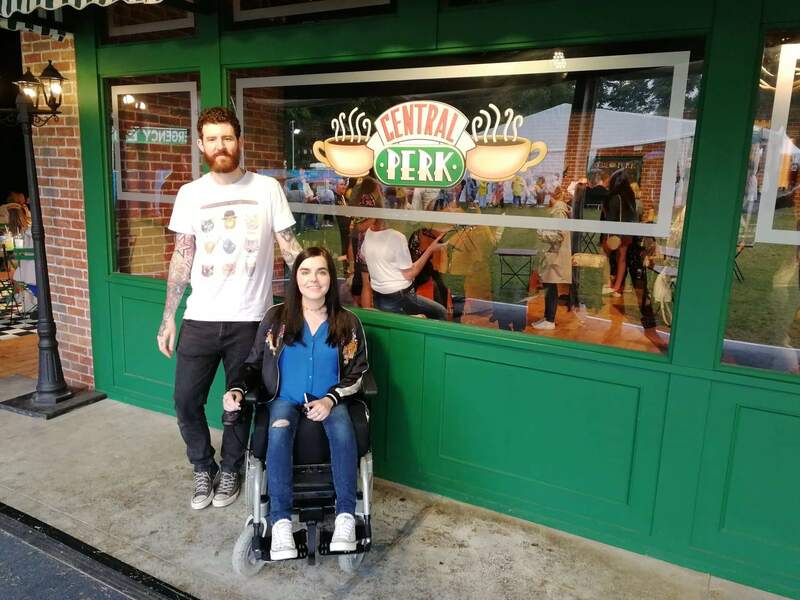 The site of FriendsFest was located on a grassy area in the park with metal walkways at the entrance which made it accessible for wheelchairs and pushchairs. 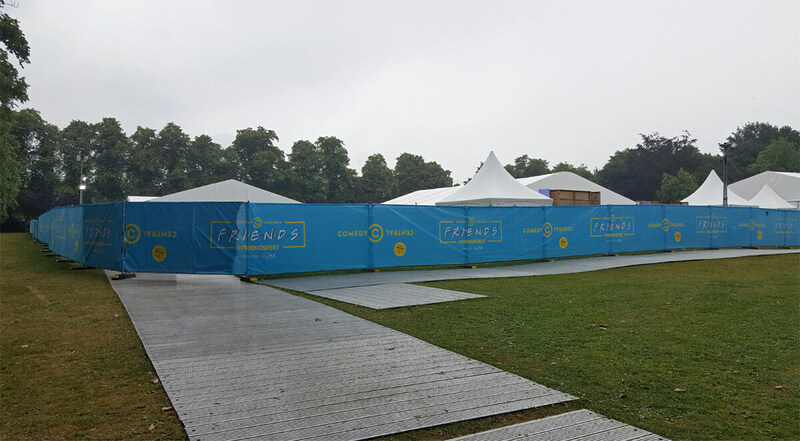 Once inside the FriendsFest area, there were no metal walkaways, just grass. 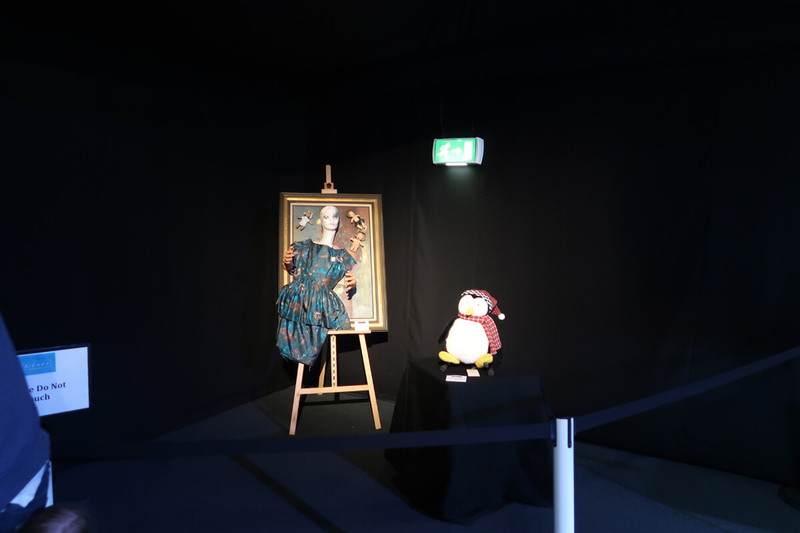 It was fairly compact with dedicated areas under large style tents for each attraction. 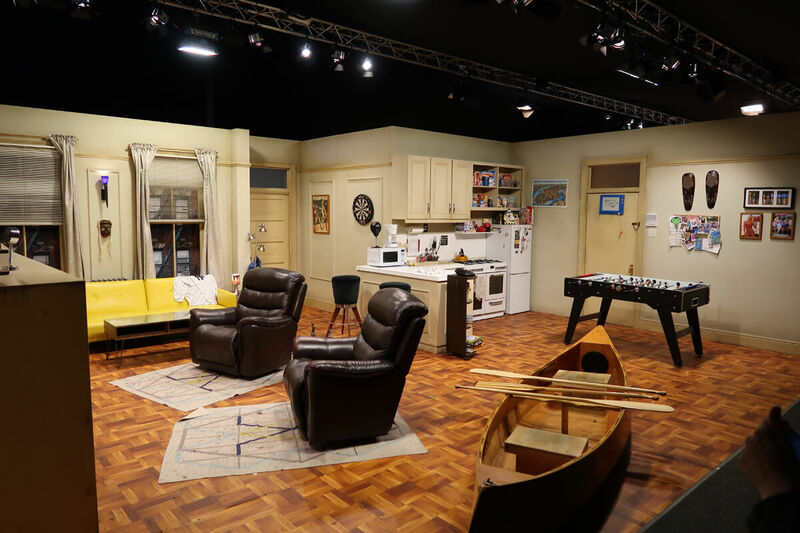 The apartment sets themselves were in one large area. 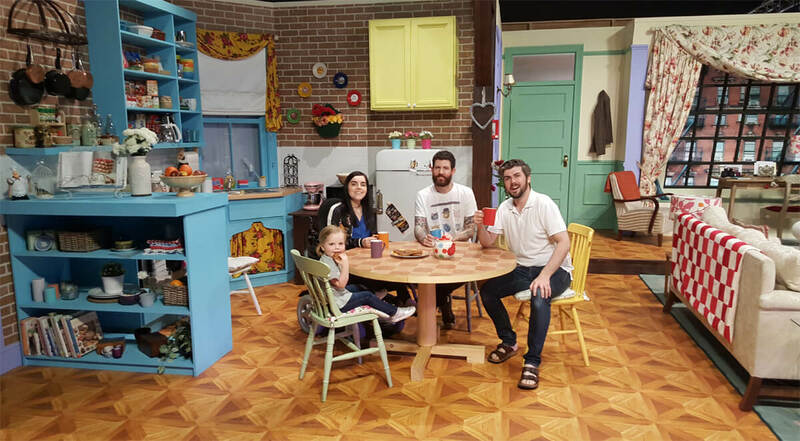 It’s important to note that the sets are replicas and not originals from the actual show, which was filmed on lot 24 of Warner Bros studios in Los Angeles. 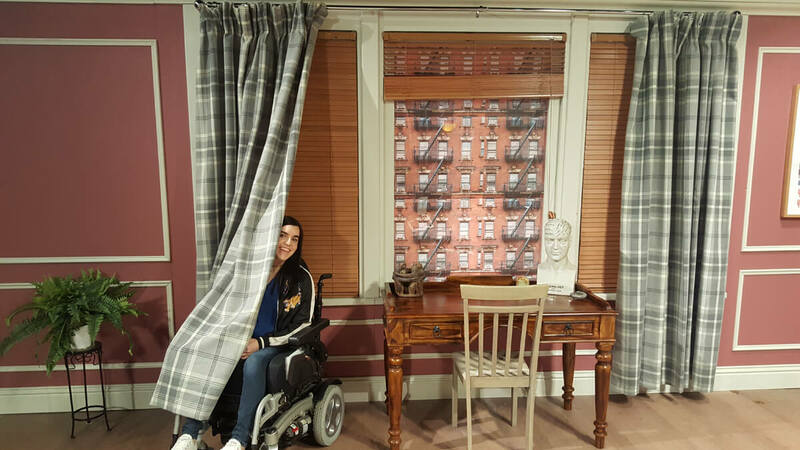 I know what you’re thinking..but Friends was filmed in NYC! Nope, that’s the magic of TV. 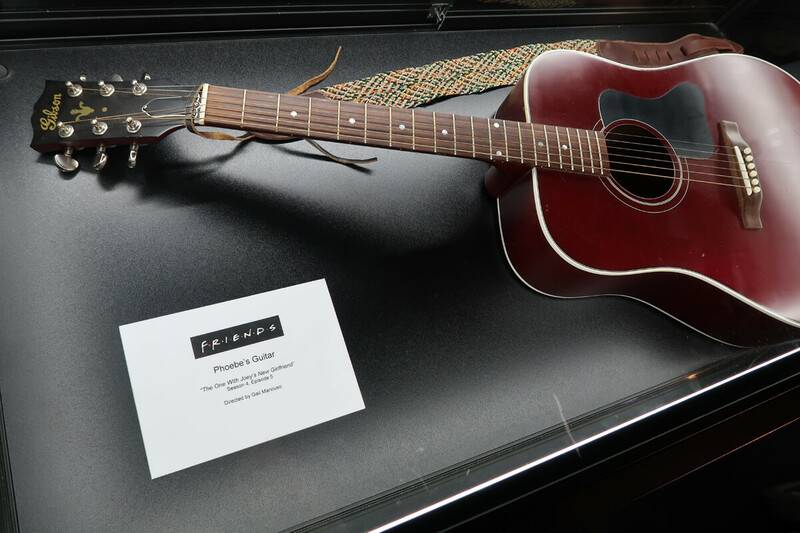 It was actually nowhere near NYC, sadly!. 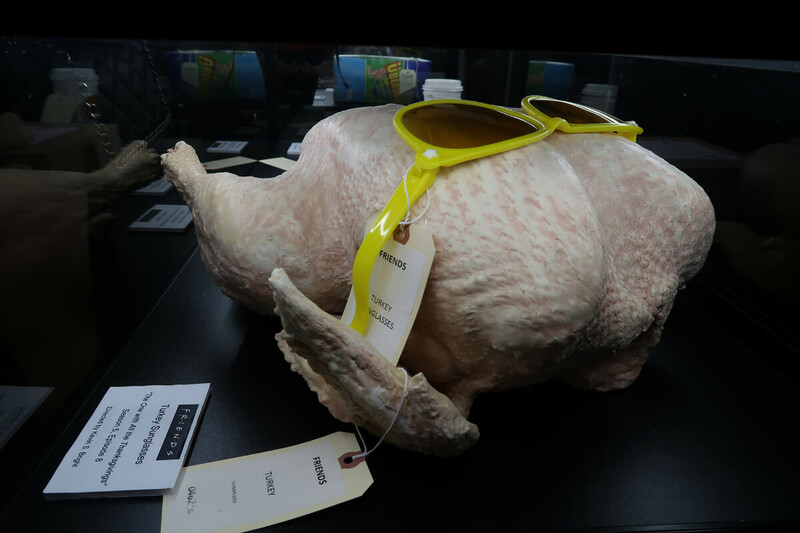 There were however original props that were actually used by the actors in real episodes of the show including Phoebe’s guitar and the turkey with sunglasses from the iconic scene where Joey gets it stuck on his head. 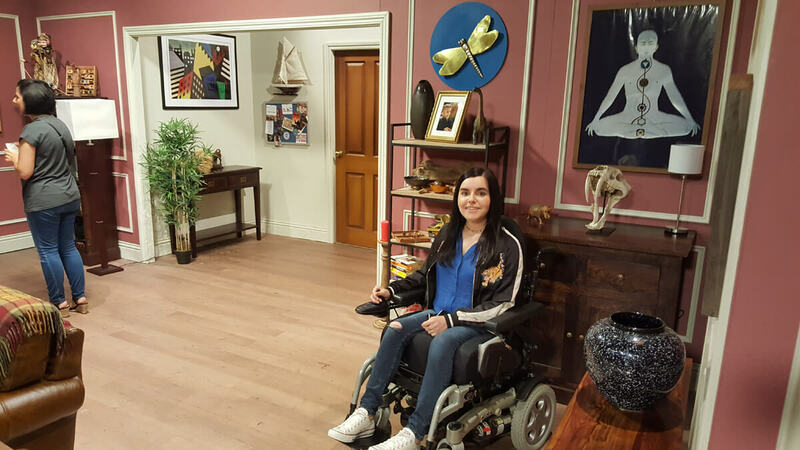 The replica sets themselves were awkward to navigate as a wheelchair user. 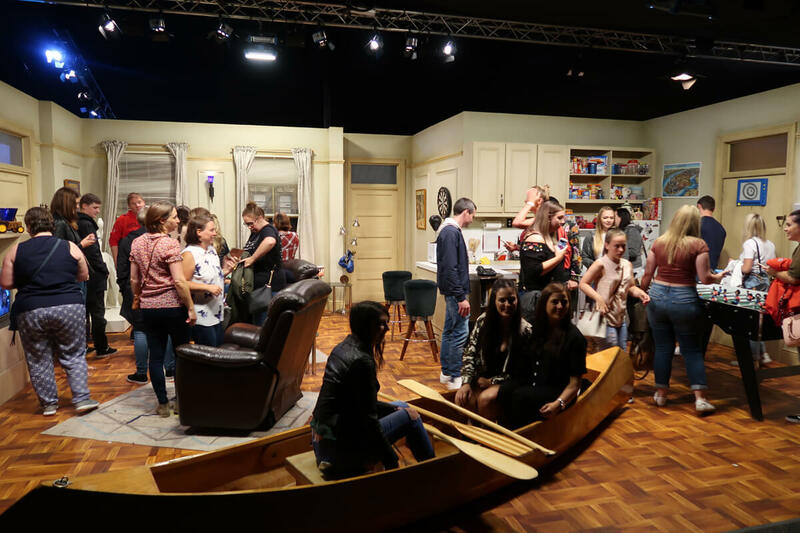 They were packed pretty tight with tables, chairs, stools etc in order to look exactly like the apartments on the show. Not to mention the other 30+ people in our tour group who were all standing in each apartment at the same time. 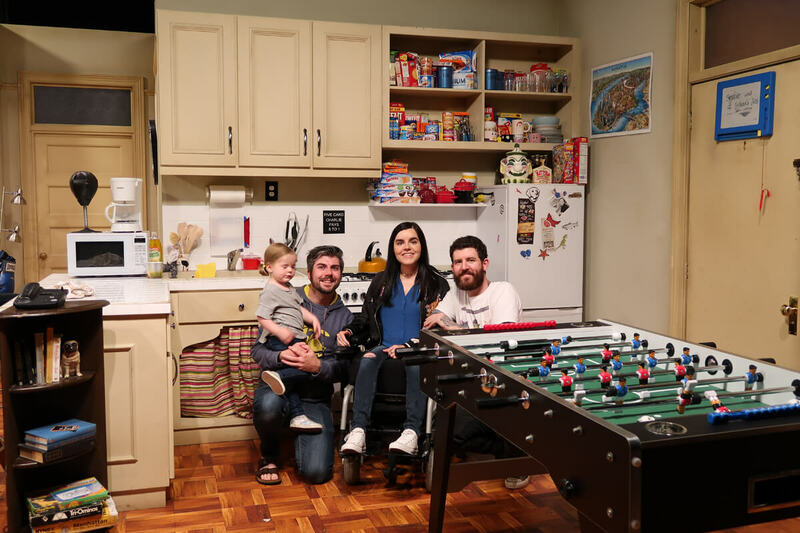 As a tour group, we got to spend 10 minutes in each apartment before moving together to the next apartment. 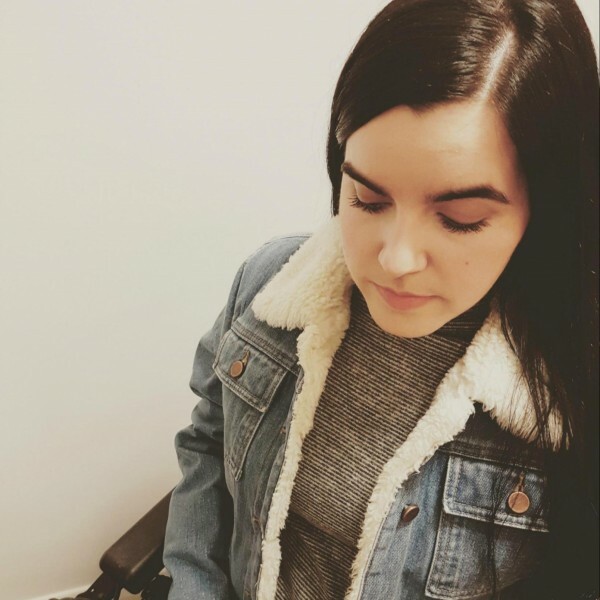 It was difficult to move around in my wheelchair. 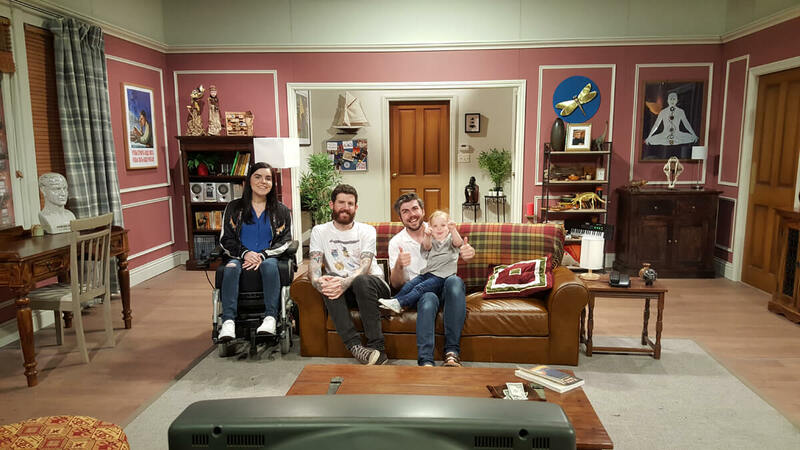 The crew were kind to offer us two minutes at the end of each 10-minute slot once everyone had left the apartment to get a photo. 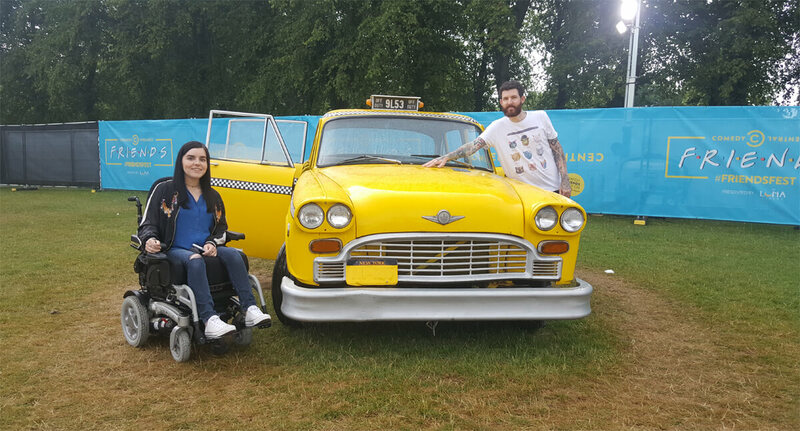 I have to say the whole thing was quite rushed and a bit stressful being constantly forced to move on which was frustrating as yet again putting a slight negative on the experience and putting wheelchair users at a disadvantage again. 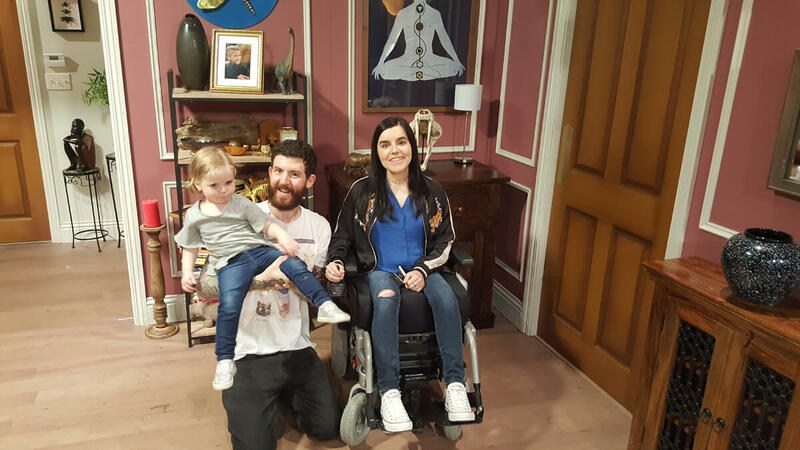 The One With The Sofa PIVOT! 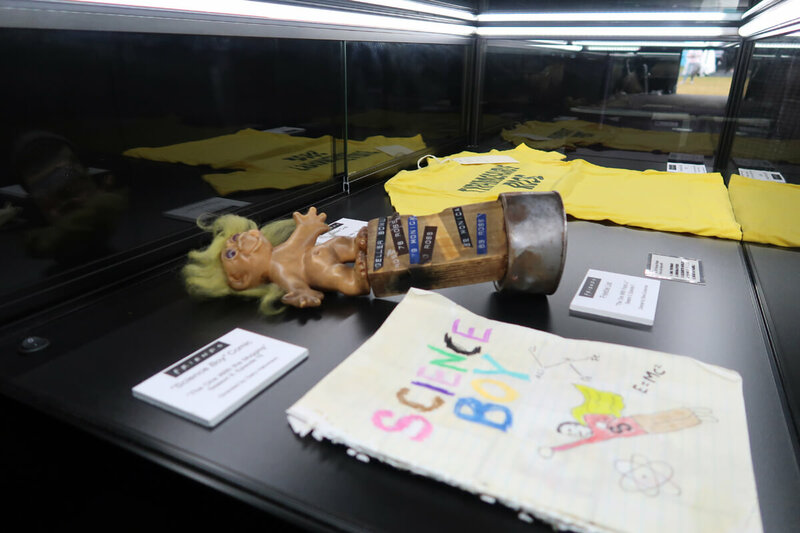 They advertise that the set tour is 30 minutes, but it felt shorter and over quite fast. 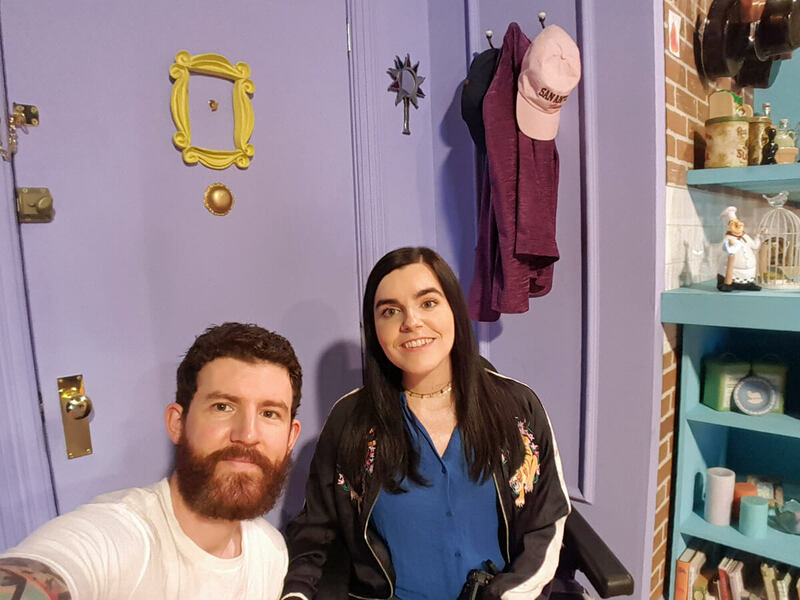 After the apartment set tour, we went outside to see what else there was. 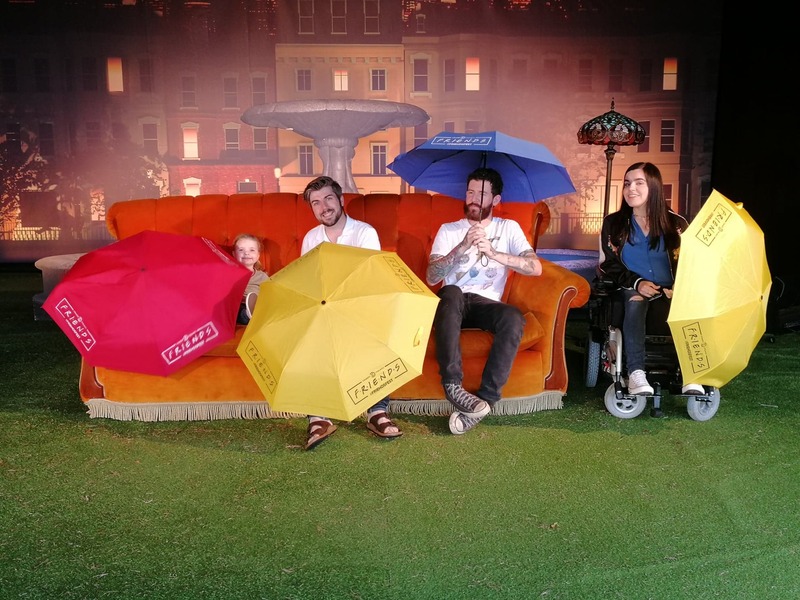 We had our photos taken on various other small sets including the couch in the opening credits were we got to ‘Recreate the Titles’ experience with umbrellas. 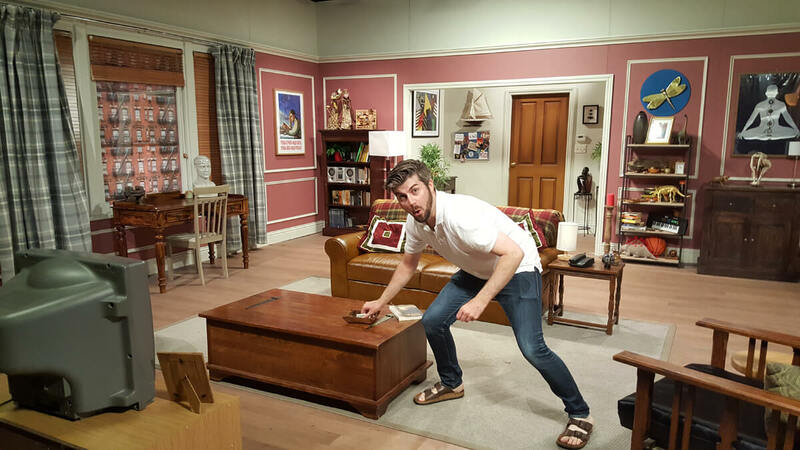 Allan and Andrew recreated the famous PIVOT! scene with a little help from Briar. 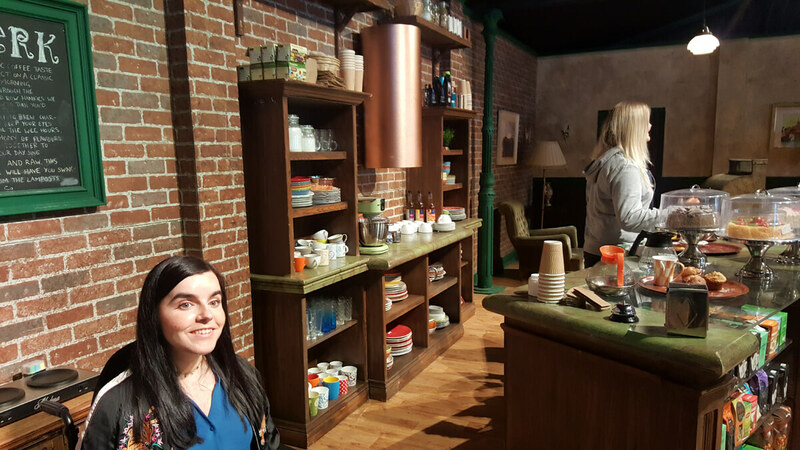 We got photos with Phoebe’s yellow taxi as well as the famous Central Perk sofa. 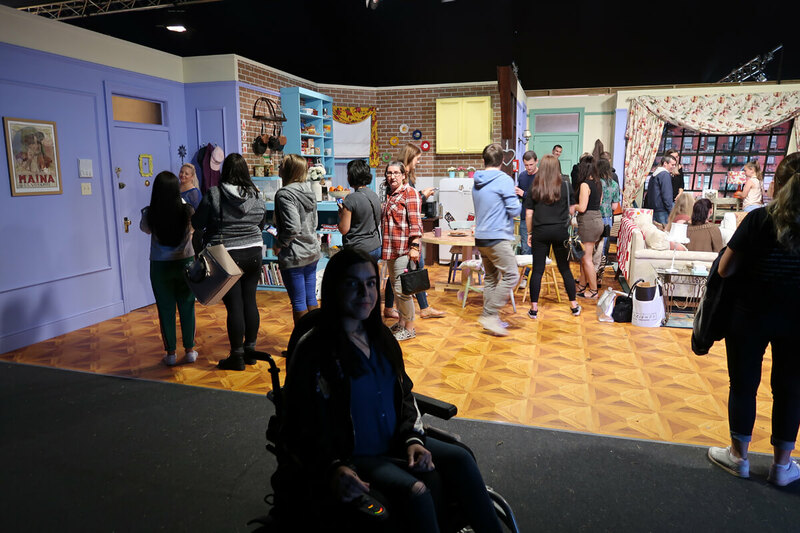 There was a large screen playing Friends episodes with a seating area. 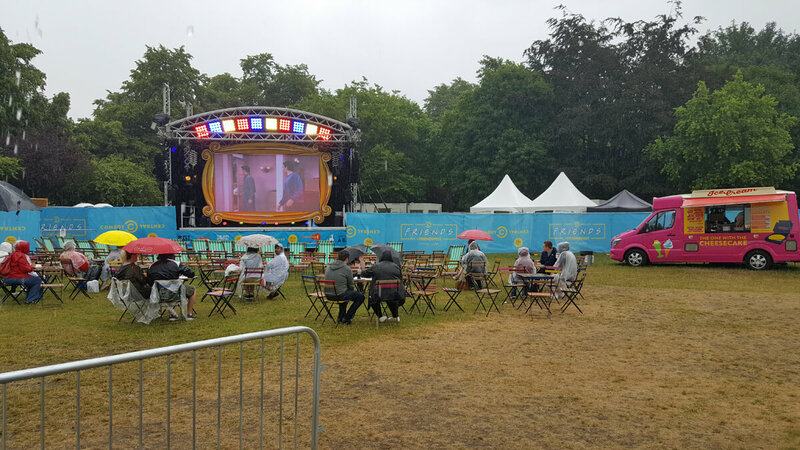 It was a little wet so we didn’t bother sitting to watch any. 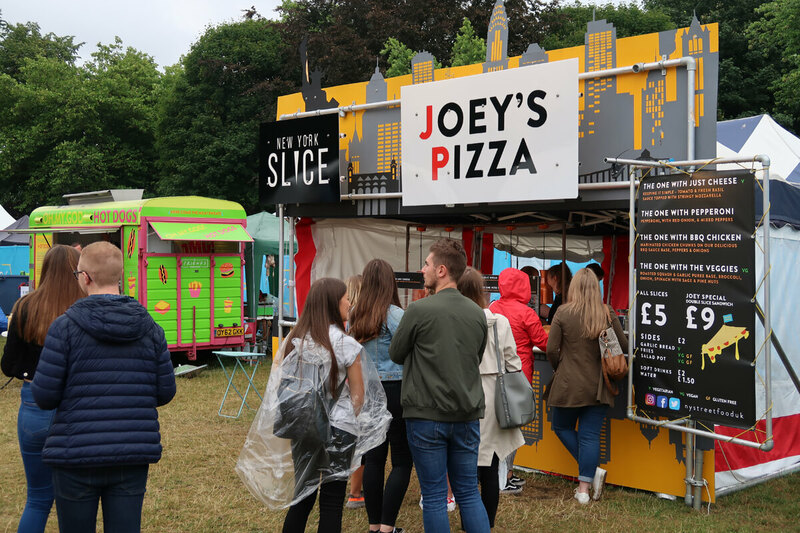 Themed food stalls were also available with names such as ‘Joey’s Pizza’, ‘Phoebe’s Vegetarian Buffay’ and ‘Oh My God Hot Dogs’. 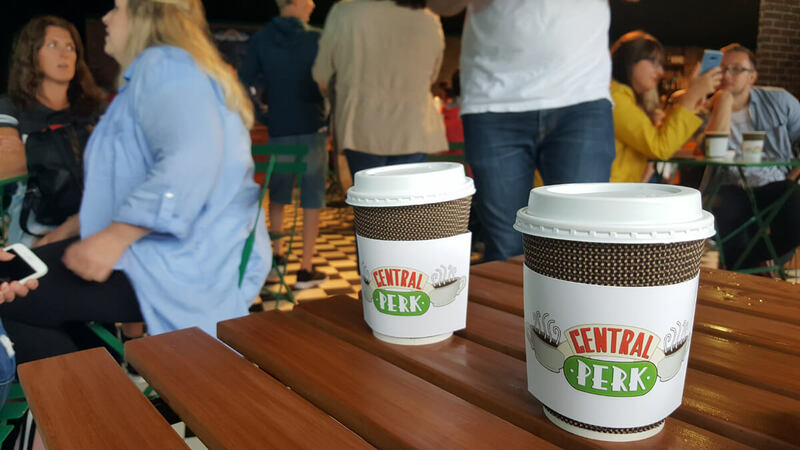 We got drinks at Central Perk and chilled out for a bit while someone performed a number of Phoebe’s famous hits including Smelly Cat. 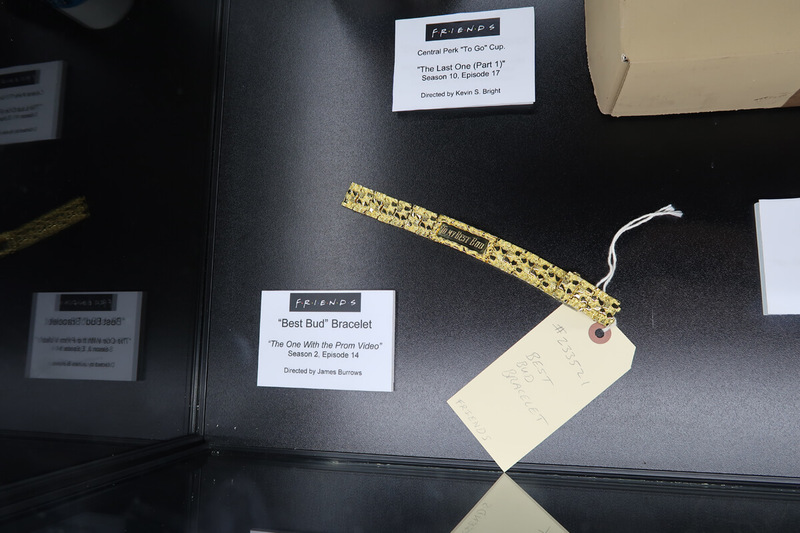 The gift shop was our last stop and it was fairly priced for those who wanted to buy. 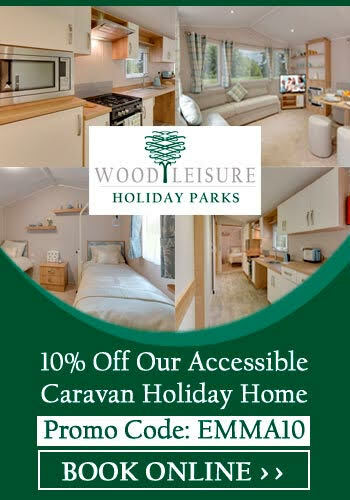 A standard ticket was priced at £25 and carers received free admission. Overall I thought it was a really unique and fun experience on a Sunday afternoon….even in the rain. 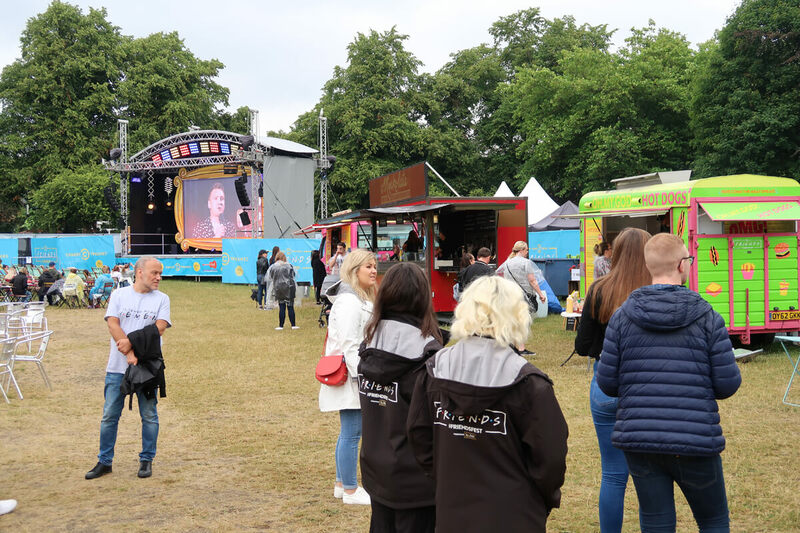 Have you been to FriendsFest Glasgow or at any of the other locations? 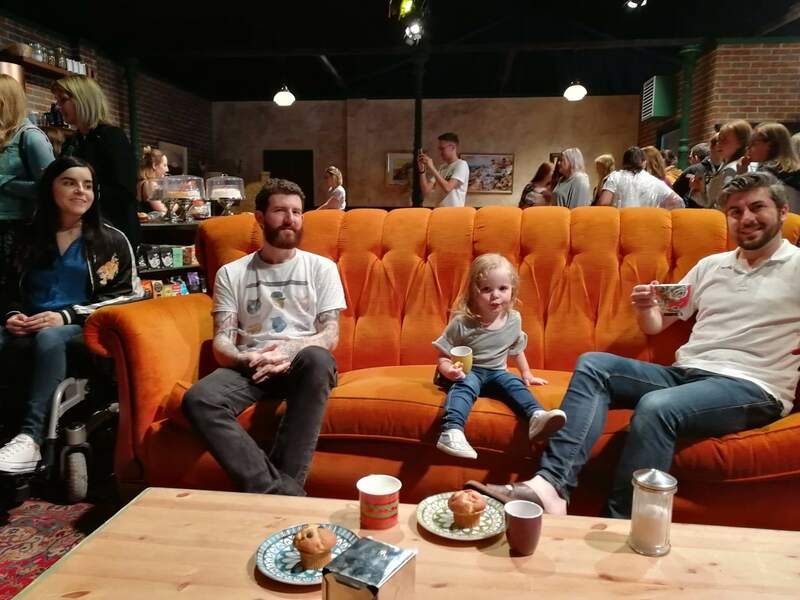 Are you a big Friends fan? 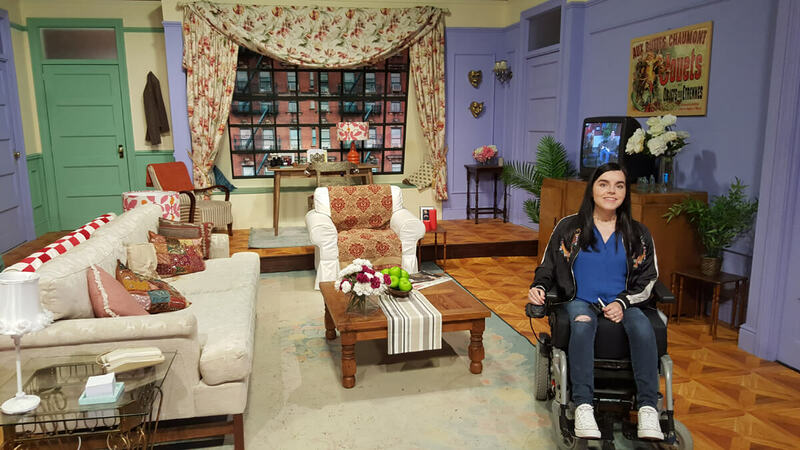 Leave a comment with your favourite Friends scenes and favourite character?